Dutching Correct Score Markets can be one of the most lucrative ways to trade football on Betfair but it is also one of the most complex strategies. In this video I not only show you how to dutch the correct score markets (that is the easy bit) but I show how you can also TRADE it in-play and lock in a profit across all score-lines before the final whistle. 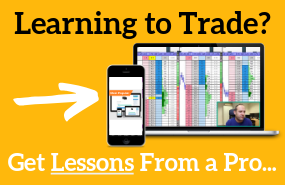 This is a MUST WATCH video for anyone interested in the dark art of correct score trading. 1) What Dutching Correct Scores actually is and HOW to do it. 2) A Ninja trick to instantly do all the calculations in an instant! Dutching & Trading the Correct Score markets on Betfair is a HUGE subject with an endless combination of strategies that can be employed and scenarios that can play out. This video probably only just scratches the surface of it!